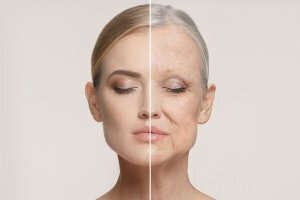 The Aesthetics Industry is experiencing unprecedented growth and this trend is set to continue in the coming years due to the speed of technological advancements and the demand for non-surgical anti-ageing treatments with more instantaneous results. There is an increasing overlap between the Beauty and Aesthetic industries– in particular in relation to non-surgical treatments. The demand for Aesthetic Therapists is rising rapidly and Bronwyn Conroy offer bespoke and unrivaled training in this area for Beauty Therapists and Medical Practitioners looking to move into The Aesthetics Industry. Our courses all benefit from our unique approach to the theoretical element of Aesthetic Training coupled with practical techniques training to reinforce this enabling you to reach the level of proficiency required to work in the Aesthetic Industry. Our courses are fully modular allowing you to study based on time available and financial viability. All of our Aesthetic Training courses are researched, written and overseen by Mairead Cheevers – a highly qualified and experienced Therapist and Tutor – who has worked for over 14 years in all areas of Advanced Aesthetics. She is completely familiar with the latest guidelines in the delivery of nonsurgical cosmetic interventions as well as the Aesthetic components of all Aesthetics Treatments. Our bespoke 4 day bridging course is the Ideal way for you to understand the industry in full and give you a clear path to the growth of your future career. We developed this course as we recognized the need to provide a knowledge based Theory course to allow Beauty Therapists, Nurses, Pharmacists and other Medical practitioners to gain the knowledge to all them to make the move to Aesthetics. In our opinion this type of course is not readily available as a generic non-brand specific Training Opportunity.